Always packed Michelin-recommend (2017) Tou Tou Koi offers diners dim sum during the day and Cantonese cuisine at night. Over 80 years old, this restaurant is a hit among the crowds, so it’s vital to book ahead. Service is swift, accommodating the non-stop flow of guests. Some of the big hits here are the deep-fried crab, chicken soup, and fish from the live tank. 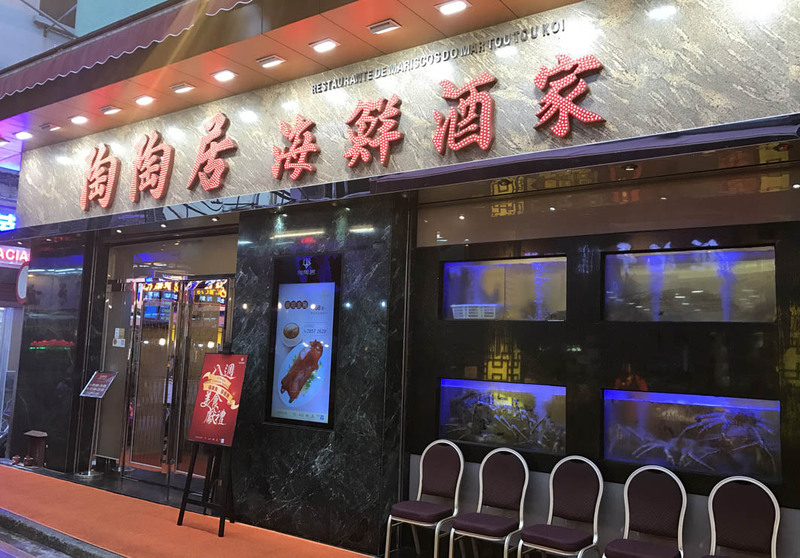 Specialty dishes, like the Braised Duck Stuffed with Eight Treasures (328 MOP/set, $41 USD) and the Signature Deep-fried Dumplings Stuffed with Pork, Shrimp, and Crab Meat (18 MOP/2 pcs., $2.25 USD) must be pre-ordered. Reservations required. Private rooms are available.